The American Federation of Government Employees suggested recently that the government shutdown will likely result in more suicides among veterans who can't get the care they need from the Veterans Affairs agency. 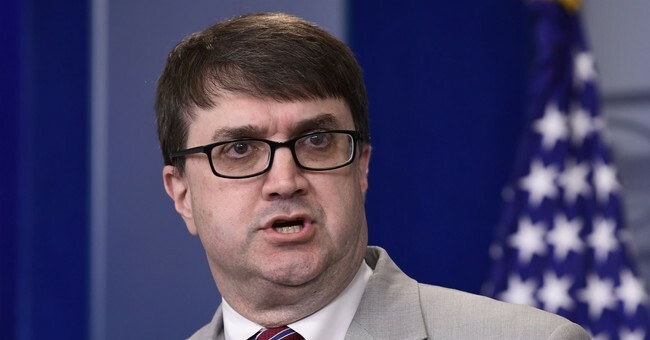 VA Secretary Robert Wilkie pushed back at that notion. In a letter to AFGE President J. David Cox, Wilkie called it "preposterous" that his union would make such a connection, and urged Cox to stop peddling the "myth." The American Psychological Association, however, sided with the union, noting that they were just being "proactive" about veteran safety. Wentling said she spoke with William Attig of the Union Veteran Council, who also told her the union's warnings aren't hyperbole. "It comes from the hundreds of emails I've received and the sound and tone coming from our community," Attig explained. "It seems like [Wilkie]'s completely deaf to that." While there's some disagreement over the degree to which the shutdown has affected the VA, other agencies like the TSA have been noticeably hit. Screeners aren't showing up to work at some airports, forcing the closure of several security checkpoints. As for some checkpoints that are still open, flyers are experiencing longer wait times.